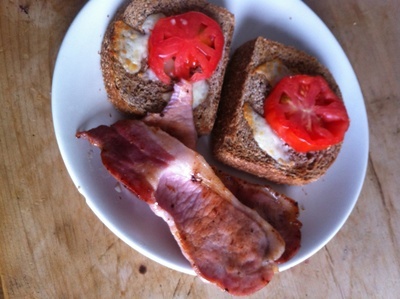 Bacon and cheese sandwiches are delicious. 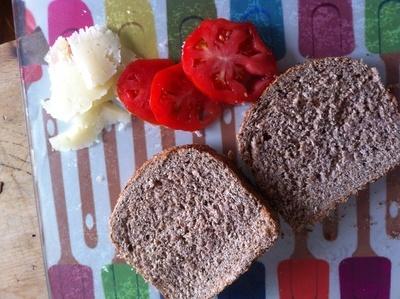 Make them a little more grown-up with a few slices of tomato and instead of cheddar, use Manchego cheese. Kids love this variation and it makes them feel more adult. 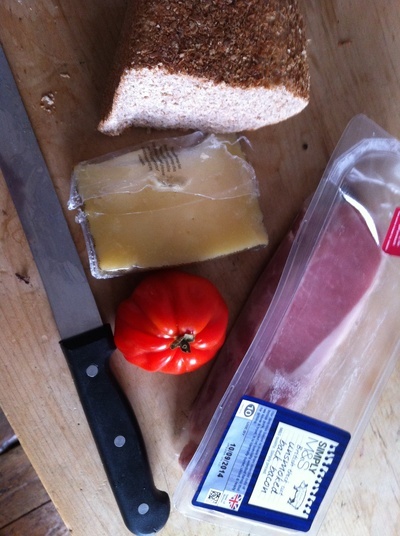 Slice two thick slices of bread from the loaf and slice the cheese and tomato. 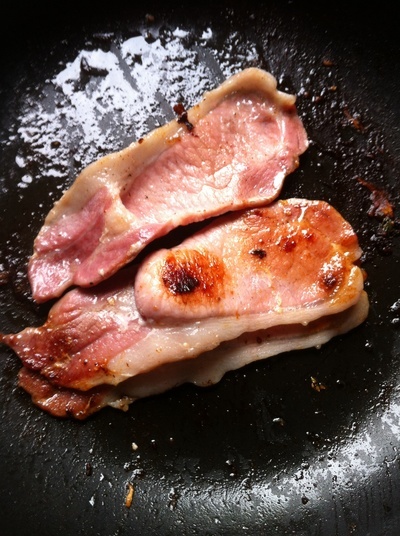 Add the bacon to a saucepan and cook over a medium heat for 5 minutes. 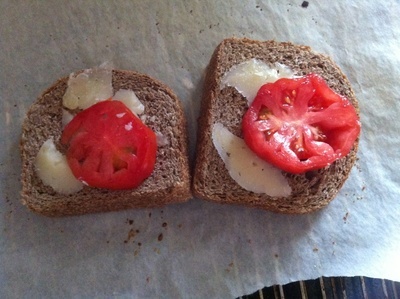 Toast the bread for two minutes on one side then add the cheese and tomato and place under the grill for 2 minutes. 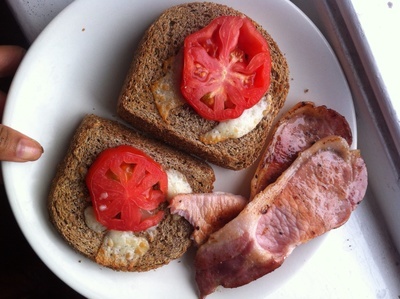 Remove the bread from underneath the grill and serve on a plate with the bacon and enjoy.